Today’s most prolific wholesalers already know it, and it’s about time you did, too: there are essentially two ways to profit from a wholesale real estate contract. More specifically, the two most common ways to close a wholesale deal are selling the contract, otherwise known as the assignment of contract method, and a double closing. While the two approaches share some similarities, their differences are worth noting, and could mean the difference between success and, well, failure. If you want to tip the wholesaling scale in your favor, I highly recommend you familiarizing yourself with the differences that exist between an assignment of contract and a double closing. What Is An Assignment Of Contract Real Estate? An assignment of contract in real estate is initiated when the owner of a property agrees to sell their home to an investor, and actually signs a contract binding themselves to the impending deal. As a result, the investor holds the rights to buy the property, which they may then sell to another buyer. That’s an important distinction to make; they aren’t selling the home, but rather the rights to buy the home. You see, when you sell a contract, you are not selling the property itself—you are actually selling the contract you have with the homeowner to buy the home to another buyer. As such, the assignment of contract approach should typically represent an investor’s first option. According to the doctrine of equitable conversion, once a real estate purchase agreement is signed by all parties and becomes effective, the buyer becomes the equitable owner and the seller retains bare legal title to the property under the previously agreed upon terms. In other words, today’s wholesalers sign a contract that says they have the rights to purchase the property in return for what is typically referred to as equitable interest in the home. 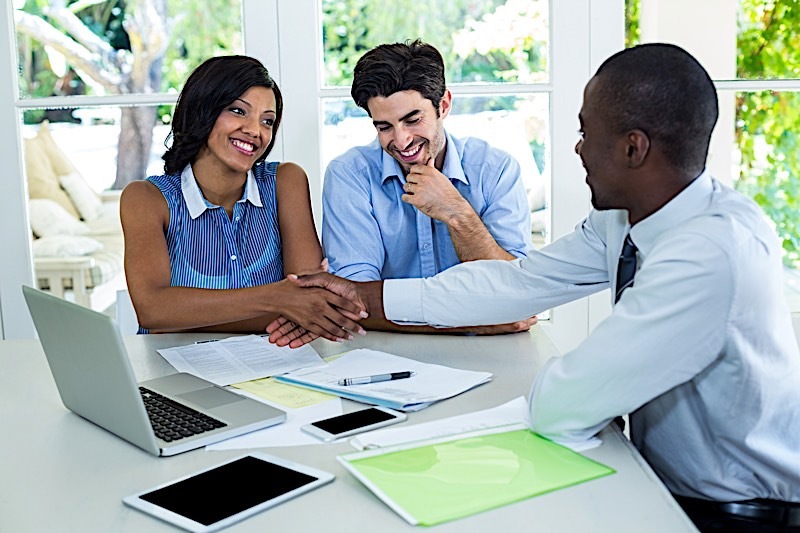 That way, when they go to sell the contract they have with the current homeowner, they are simply selling their rights within the terms of the contract to a subsequent buyer. It is worth noting that the assignment of contract method will never have investors take title to the property, nor will the assignment of contract show up in the title chain. In fact, wholesalers won’t even have to fund the deal. The individual buying the contract from the wholesaler will pay the wholesaler a profit for their rights to buy the home, and proceed to pay the seller their asking price. In its simplest form, assignment of contract allows investors to match sellers with buyers. I want to make it abundantly clear: the verbiage of the contract between the seller and the wholesaler is of the utmost importance. All purchase and sale agreements, by default, can be sold to another party unless specifically stated otherwise. This is why it’s very important to make sure the contract says exactly what you need it to in order to wholesale a property. To be safe, hire an attorney versed in these types of real estate transactions. The assignment fee in an assignment of contract wholesale deal is the profit an investor stands to make by acting as the middleman. That said, the terms of how the investor will be paid are detailed in the Assignment of Real Estate Purchase and Sale Agreement, and can transpire in more ways than one. More specifically, everything is negotiable, even the assignment fee the investor stands to make. More often than not, the investor will receive a deposit when the Assignment of Real Estate Purchase and Sale Agreement is signed. Not until the transaction is complete and the deal closes, however, will the investor receive the rest of what they are owed (whatever was negotiated beforehand). Both assignment of contract and double closing procedures have become the center of a huge debate. Perhaps even more specifically, there is a wild misconception that each of these strategies are illegal, or that the investor is an unlicensed individual acting as an agent. The said, each of these wholesale techniques have been grossly misrepresented by individuals that aren’t familiar with the law. There is nothing illegal about selling a contact and the investor is not acting as an unlicensed agent—which is what we are doing here. In reality, the investor is the principal buyer in a transaction; one that plans to sell their contract to another buyer. The investor is not listing the property for a commission, as an agent would. Of course, this will require the investor to divulge their strategy to both the seller and the end buyer, which will help make things more transparent for everyone involved. Wholesaling can be extremely confusing to those that don’t understand it. That’s why I always recommend working with a knowledgeable real estate attorney. In fact, you need to consult a professional that is well versed in wholesaling real estate before you decide to make some moves of your own. There are legal pitfalls in the process, so do not move forward with a wholesale deal until a knowledgeable real estate attorney gives you the green light. What Is A Double Close Real Estate? A double closing, otherwise known as a back-to-back closing, is exactly what you’d expect: an investor will purchase a property, only to resell it relatively quickly without rehabbing it. To be clear, while a double closing could take just a few hours, it could also be as long as a few weeks. In fact, double closings aren’t all that different from a traditional buy and sell; they just happen at a much faster pace. Two transactions take place over the course of a double closing. The first transaction, not surprisingly, involves an investor and a seller. The second transaction will then have the investor sell the recently purchased property to a new buyer. Each transaction will have its own escrow and settlement statements; they are two independent transactions. The settlement statement is essentially a summarization of all the fees and charges incurred by both the buyer and the seller over the course of the real estate transaction. Otherwise known as the HUD-1 (under jurisdiction of the U.S. Department of Housing and Urban Development), the settlement statement will be an integral piece of each transaction; the one between the investor and the seller, and the one between the investor and the new buyer. Unlike an assignment of contract, a double closing will actually witness the investor take legal possession of the property. As a result, the investor will show up on the chain of title and, of course, be required to pay the expenses that have become synonymous with buying and selling properties (escrow, closing costs, etc.). 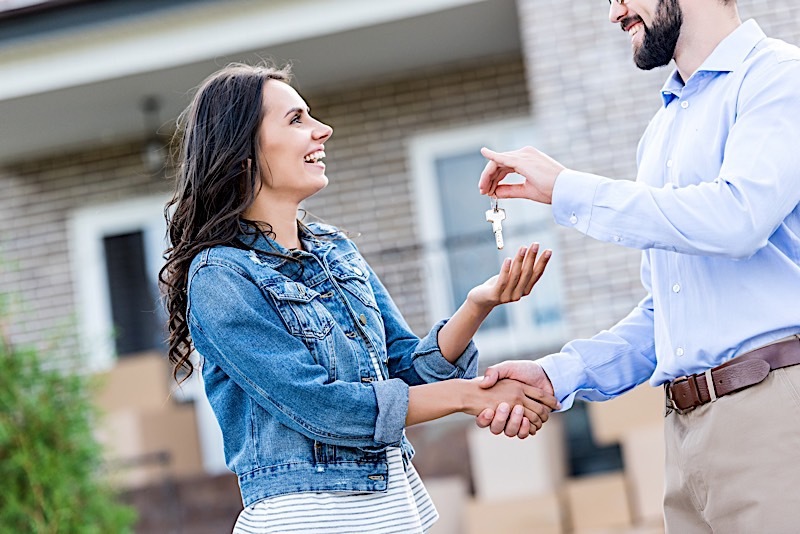 Find A Deal: Not surprisingly, your first step in a double closing is to find a property to purchase that has enough of a discount to warrant a double close. That means it should be able to be purchased at a price that enables the investor to flip it for a quick profit. Remember, the price needs to be attractive enough for a subsequent buyer. Run The Numbers: I recommend running the numbers for the next buyer you intend to sell to. That way, you can show them the potential profit opportunity and make the deal more appealing. This also helps when determine whether or not the home is a viable double closing candidate. Find A Buyer: Before you even buy the deal, have another buyer lined up. That way you should be able to double close faster and have a better idea of what numbers to expect. At this point, make sure the buyer’s loan will allow them to take part in a double closing (some banks don’t allow it). Buy The House From The Seller: Buy the home from the original owner. Just like a regular transaction, you will go through the closing process and pay any closing costs. You will also receive the settlement statement I previously discussed and be placed on the chain of title. Sell The House To The New Buyer: Proceed to sell the house to the new buyer. Not unlike the first transaction, you will close on the property, just as you would with a traditional sale. As a result, you will receive another settlement statement and incur the usual costs. I won’t sit here and tell you one exit strategy is better than the other, but rather suggest that the one you choose will be entirely dependent on your situation. At the very least, there are several factors that will play into whether you should pursue a double closing or an assignment of contract. For starters, you must take into consideration the deal’s profit potential. That said, I would recommend looking into a double closing if you find a buyer that is willing and able to pay you a lot more for the property. Of course, you will incur additional closing costs in the event you follow through with a double closing, but the added profit could easily make up for them. In addition to the profit potential, you will need to consider one other very important thing: how the end buyer plans to finance the deal. If the end buyer plans on using a bank loan to buy the home and you intend to sell the contract, you must make absolutely certain to check with the buyer’s lender—to make sure there is nothing that would prevent the transaction from taking place. While it’s not all that common, some banks do have regulations and underwriting prohibiting them from lending money in an assignment of contract scenario. Last, but certainly not least, you must consider how long your buyer will take to get their funding lined up. If their timetable takes you past the previously agreed upon closing date, you may have to consider a double closing. That way, you’ll be able to sell the property to the end buyer when they have the funds available. Today’s investors would prefer to use a wholesale real estate contract strategy, whether it’s a double close or assignment of contract. Truth be told, each have their place in the real estate investor’s toolbox. Those that know when and how to use each of them, however, stand to realize the most success. When done correctly, wholesaling can serve as a great entryway into the world of real estate investing. There are two common wholesale exit strategies: assignment of contract and double closing. The assignment of contract should represent the first option for an investor considering wholesaling.